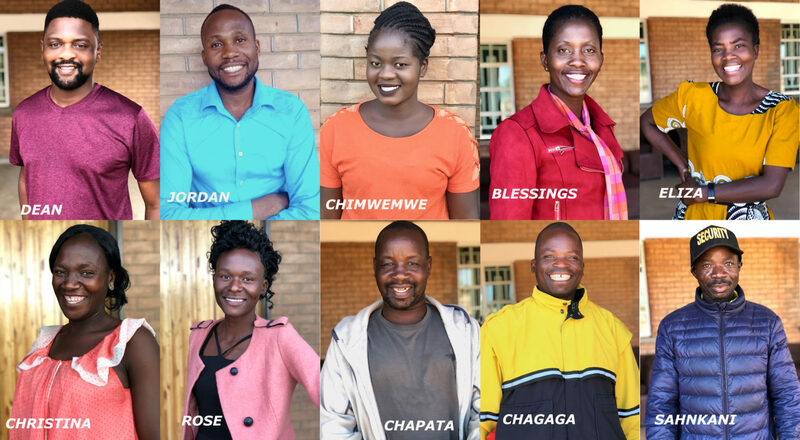 We are so happy to have a wonderful, dedicated team on the ground in Malawi making things happen for Kusewera! We have established an NGO in Malawi, that is an extension of Kusewera in the U.S. that was necessary to assure things run smoothly in country. Key In-Country Advisor : Dean Lungu Jr – Dean has been a strong Kusewera supporter and confidant and is currently acting as our key in-country advisor in Malawi, overseeing the Kusewera Village staff, assisting with business issues and HR relations. Jordan : Administrator – Jordan has been a long-time friend of Kusewera, coming from Mtendere Village Orphanage where many of our volunteers served. He is a certified teacher and an athlete. He earned his Bachelor degree, majoring in chemistry, with a minor in biology and has taught both primary and secondary since school post graduation. He is now the Administrator for Kusewera Village and is responsible for the planning and implementing of all school activities, focusing on the Kindergarten 4/5 classes and after school programs for all ages. As the on-site contact, he handles the day to day procedures at Kusewera Village. Chimwemwe : Assistant Coordinator – Chimwemwe has been a friend of Kusewera for years, coming from Mtendere Village Orphanage. She completed secondary school, and earned a post secondary education certificate from a vocational school. She enjoys netball and other sports. She works alongside the Administrator assisting with programs, guest services and coordination at Kusewera Village. Blessings : Kindergarten 4/5 and Permaculture Program – Blessings came to Kusewera Village as a volunteer, and quickly became an integral part of the team. She is educated, her English is fantastic, she communicates well, she’s professional, loyal, honest and kind… AND she loves the permaculture lifestyle Kusewera is implementing! We are excited to have her on board as she will be assisting with the Kindergarten 4/5 in the mornings and spearheading our Permaculture Program in the afternoons! Eliza : Nursery School and after school programs – Eliza comes from one of the local villages surrounding Kusewera Village. She has been a valuable part of the preschool and after school program, as well as helping out Christina at the guest house when groups are visiting. Christina : Guest Services and school/program assistant – Christina comes from one of the local villages surrounding Kusewera Village. She assists volunteers in the guest house, preparing for their stay, cooking, cleaning and also works with the nursery school as needed. Rose : Sewing Initiative teacher, coordinator – Rose is from nearby Chitipi and began as a volunteer, assisting a designer teaching for a week at Kusewera Village. She is responsible for continuing to teach women and girls, and coordinating the signing in and out of the sewing machine use. Chapata, Chagaga and Sankhani : Guards / Watchmen – Each of these men are from a different one of the three local villages surrounding Kusewera Village and have been active in assisting Kusewera with many things over the last couple years. They were eager to be guards / watchmen for us in tandem with the professional hired guards at the village.